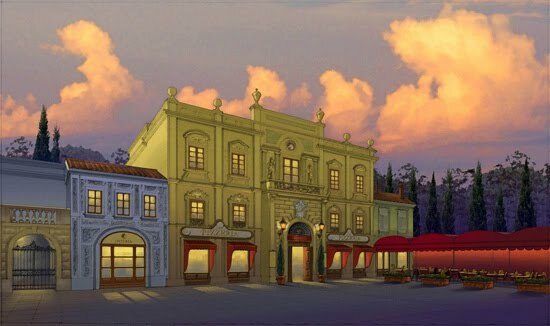 Here's a look at the brand new concept art of the Cantina being built in Mexico and the new Pizzeria being built in Italy. Refurbishments have been complete recently at Peter Pan's Flight, Adventureland restrooms, the Plaza Ice Cream Shop, and the Tomorrowland Terrace. Luxo Jr.. the Audio Anamatronic that was featured in the Pixar Place area of The Studios has been discontinued. No real word on why, but I know I am sad that this unique, small hidden gem is now gone. D-Street, a new store featuring Urban wear and Vinylmation, has officially opened at Downtown Disney's West Side. WDW Transportation has been involved in a few accidents this week, with one, unfortunately, killing a 9 year old boy. Mickey's Not So Scary Halloween Party dates are out: September 3, 8, 14, 17, 21, 24, 28, 30 October 1, 3, 7, 8, 11, 12, 14, 17, 19, 21, 22, 24, 26, 28, 29, 31 & November 1. Tickets are expected to go on sale May 1st. A new 300 square foot Givenchy shop will be opening up in the France pavilion of Epcot's World Showcase. Update: Southwest Airlines will now be participating Resort-wide in the Resort Airline Check In process. The only resorts that will be exempt are Old Key West and Caribbean Beach because their luggage facilities need to be enlarged. In a very strong rumor, it appears the new monorail train will be Monorail Maroon. Ariel's Grotto is rumored to be close April 10th or 11th. Mary Poppins and Bert are expected to do a meet and greet at the Carousel at the Magic Kingdom soon. 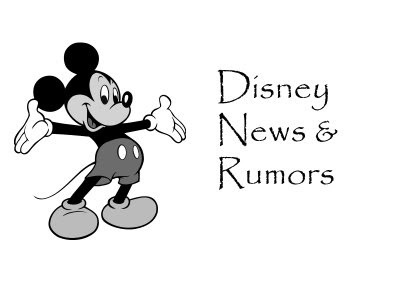 There was an awful rumor floating around a while back that Rock'n'Roller Coaster was being changed to a Hannah Montana theme...do you have any idea if this is true, or what they're doing with RRC? That rumor has been floating around for a while. I think it's just a rumor at this point...I haven't heard anything concrete. Plus, it would make no sense to turn the coaster into a Hannah Montana one at this point because the show only has, I believe a year left. If they were going to do that, I would think they would have done it a while ago.